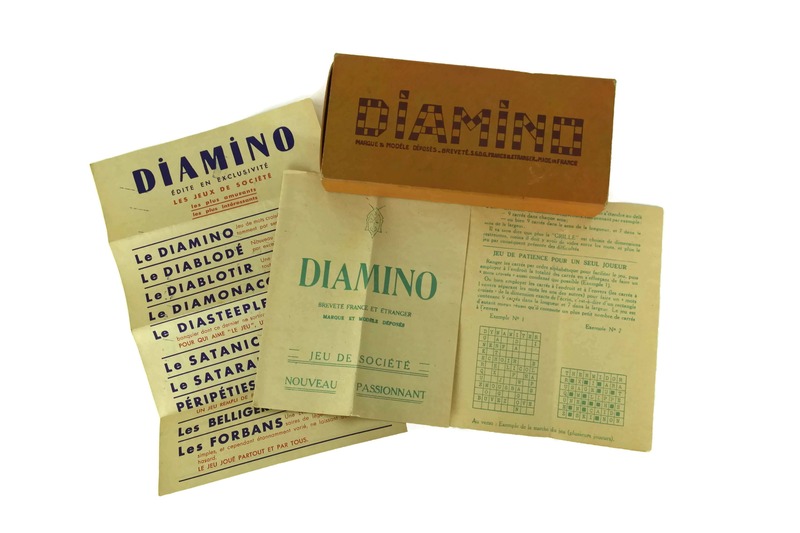 French Diamino Board Game. 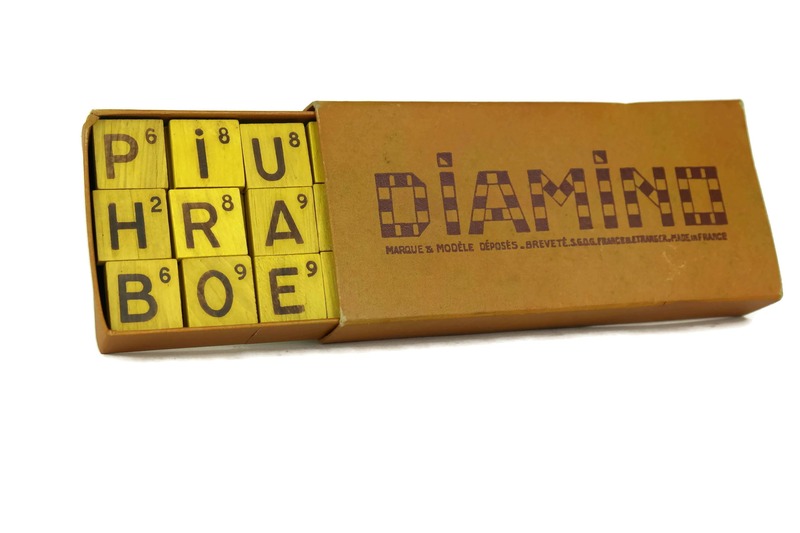 Vintage Wooden Letter Tiles. 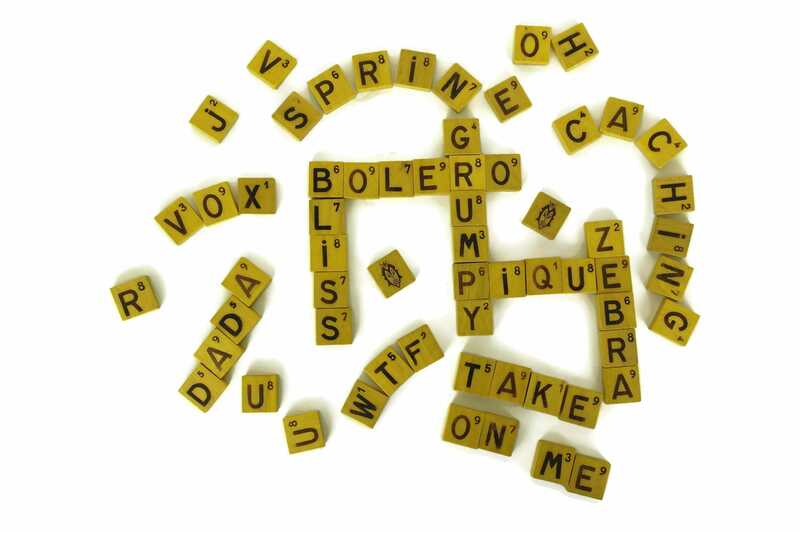 Crossword Puzzle. 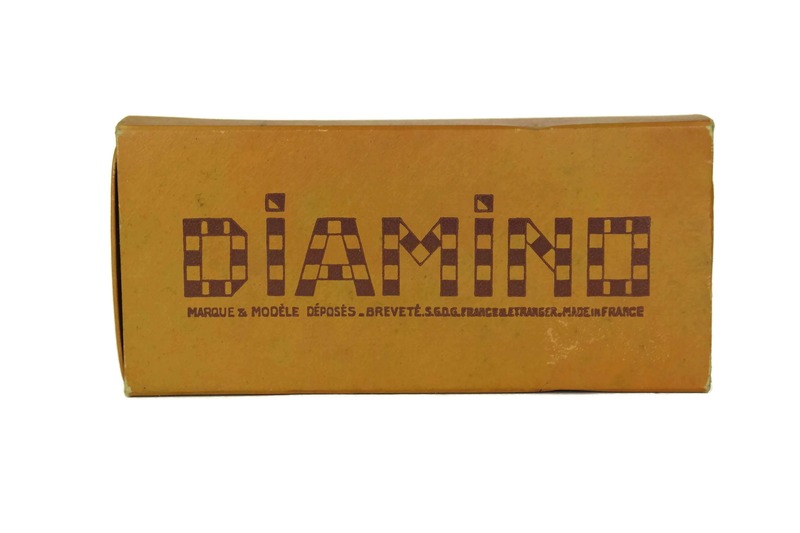 A French vintage boxed set of the traditional wooden letter tile game, DIAMINO. 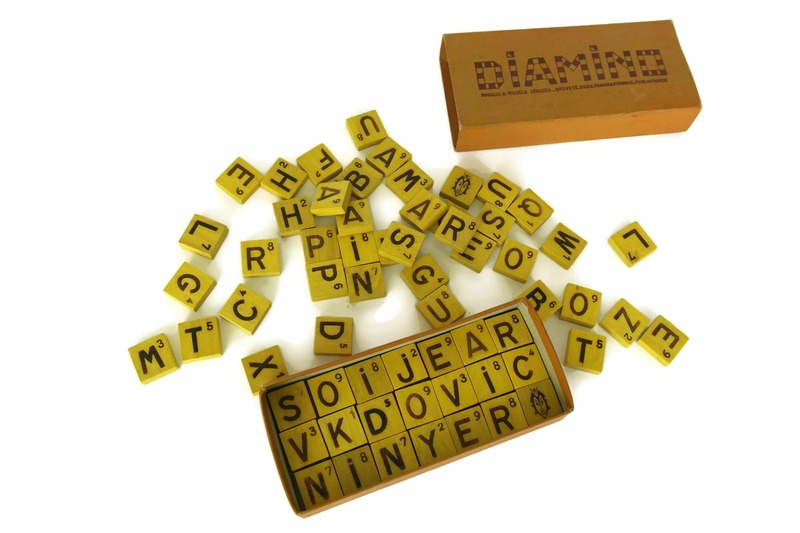 Diamino is a word game similar to Scrabble but is played without a board. 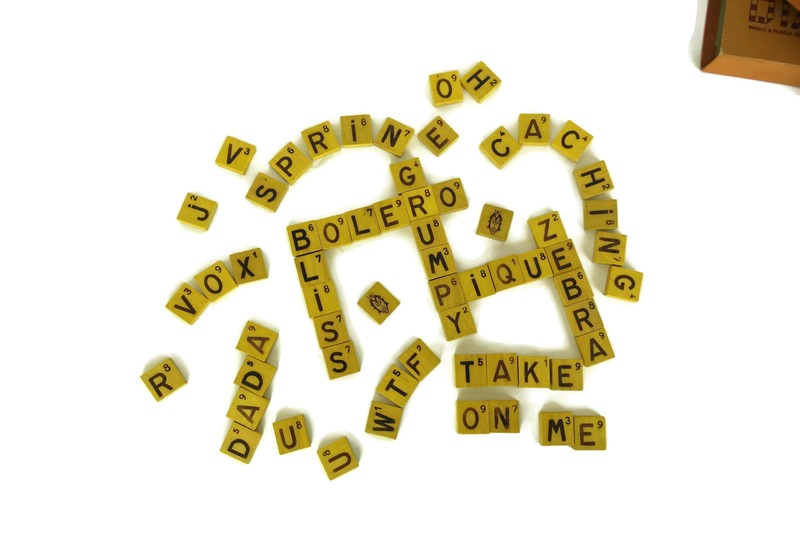 The tiles are shared out among the players who have to then place letters to form words. 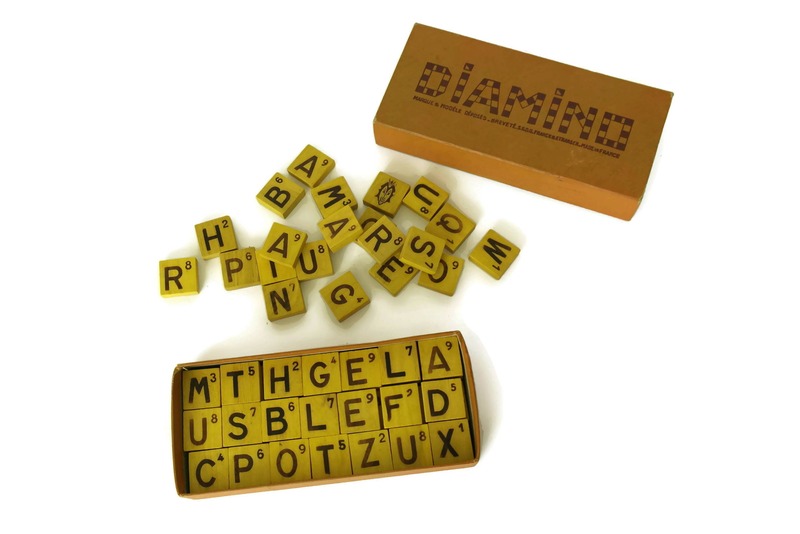 The other players have to then create new words by crossing the existing words. 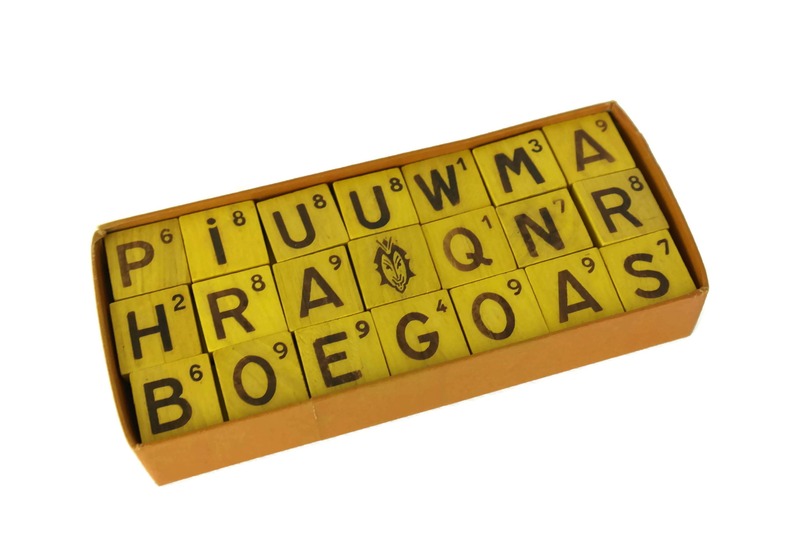 There are a total of 63 tiles which include 61 tiles with stencilled letters and two tiles with the image of a devil which can be used to substitute letters. The game comes presented in its original box. 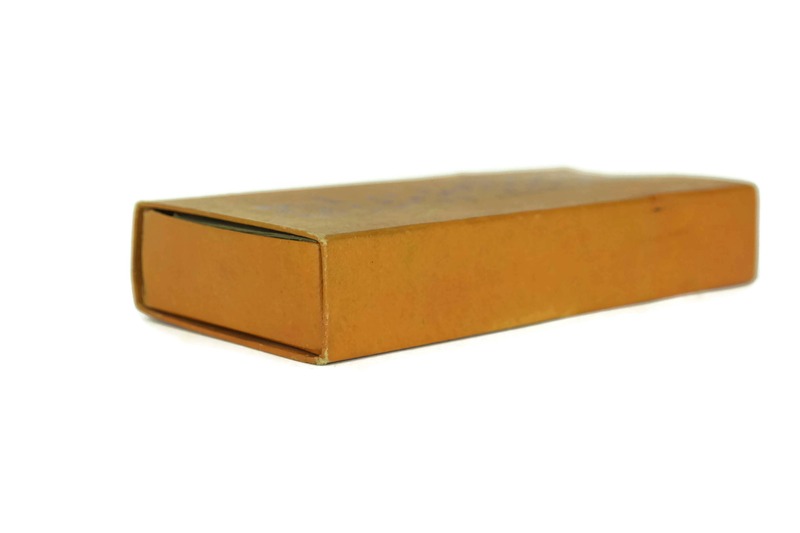 The box measures 7" Long x 1 1/4" Tall x 3 1/2" Wide (18 cm x 3 cm x 8,5 cm). Each tile is 1" x 1" (2,5 cm x 2,5 cm). 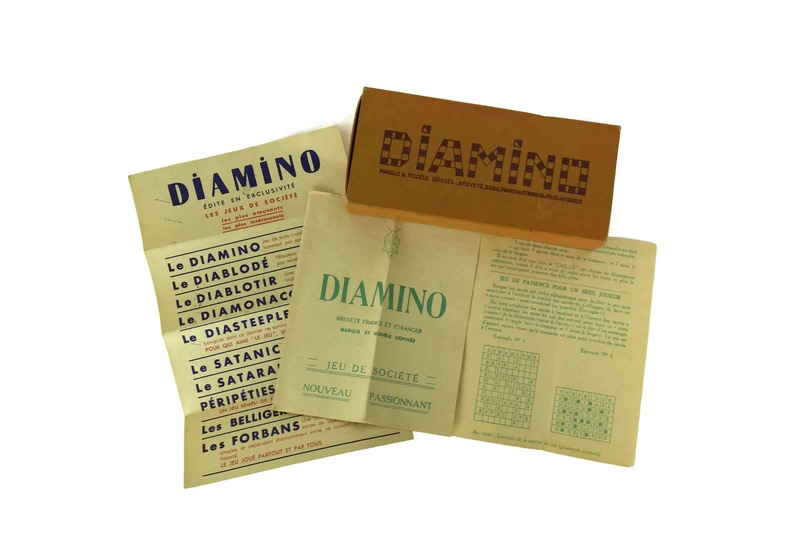 The boxed set of is in very good condition with some signs of age and use. The box is worn in places.